Over the past three years, the 14 Caribbean countries that signed the Petrocaribe agreement have received between 120,000 and 140,000 barrels of oil per day from Venezuela on preferential terms. One BBC report noted that Petrocaribe assistance to Caribbean nations (other than Trinidad and Barbados) is vital as it has saved the region from experiencing an economic crisis. The largest share of this has been allocated to Jamaica and the Dominican Republic. Cuba, in a separate agreement, has received approximately 100,000 barrels per day under a more detailed arrangement with Caracas. 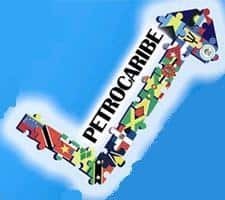 Petrocaribe member countries include Antigua and Barbuda, Belize, Guyana, Jamaica, Dominica, Cuba, and St Kitts and Nevis. The scheme allows members to retain part of their payment in the form of a low interest loan which is repayable over a 25 year period. The agreement between Venezuela and Dominica can be used as an example of how the plan works. According to that arrangement, Dominica agreed to receive diesel, liquefied gas and asphalt. Also included in the venture was the construction of storage tanks with the capacity to hold 25,000 barrels of oil. Dominica agreed to finance up to 60% of the project cost over 90 days, with the remaining 40% being financed over 25 years, with a two-year grace period and a 1% annual interest rate. Dominica also agreed to bartering local foodstuffs for fuel. Critics of the programme have argued that the plan increases the region’s long term indebtedness. Since participating in the Petrocaribe plan, the Dominican Republic’s debt now stands at over US$1.23bn, up from US$448.8m in 2006. Indeed there is a prediction that over one-third of the Caribbean’s total external debt will be owed to Venezuela by 2015. There are those outside the Caribbean who dislike the possible political advantage the programme gives to Caracas. However, no other nation at this time is politically capable of providing this level of support to Caribbean states. A major problem is foreseeable if Venezuela finds itself having to modify the agreement by increasing prices or reducing supply to cope with its own economic problems. Venezuela’s oil sector accounts for over three-quarters of total Venezuelan export revenue, about one half of total government revenues, and approximately one-third of its gross domestic product (GDP). There are several national problems looming over Venezuela at this time even though oil prices remain steady. These problems threaten to cause a reduction in oil exports and so, revenue. The problems include a deepening power supply crisis, the devaluation of the Bolivar, rising inflation, shortages in the shops, and political opposition to government reform measures.